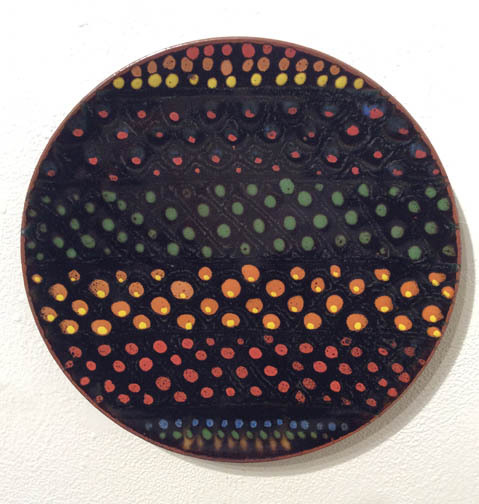 Wally Schwab's ceramic platters exhibit a mastery over his medium and a unique approach to pattern and design. Schwab creates simple forms with vivid earthy colors, blending of technical and artistic mastery. 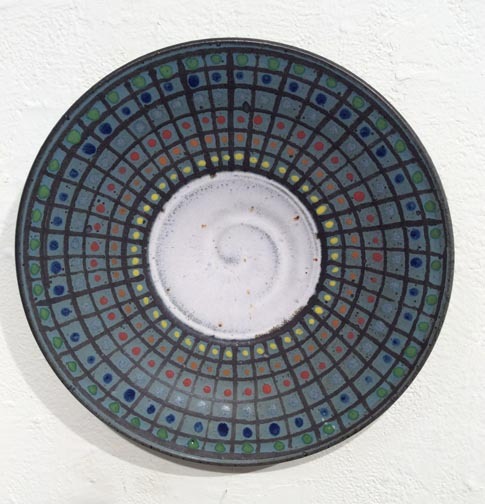 As the artist states “I use a great number of glazes in an effort to incorporate as much life as possible into each form.” The Oregonian defined Schwab as one of "the key ceramic players who for more than 25 years who helped define the scene.” A staple of Northwest craft for decades, Portland-based Schwab is known for his signature fish scale-designed clay work. 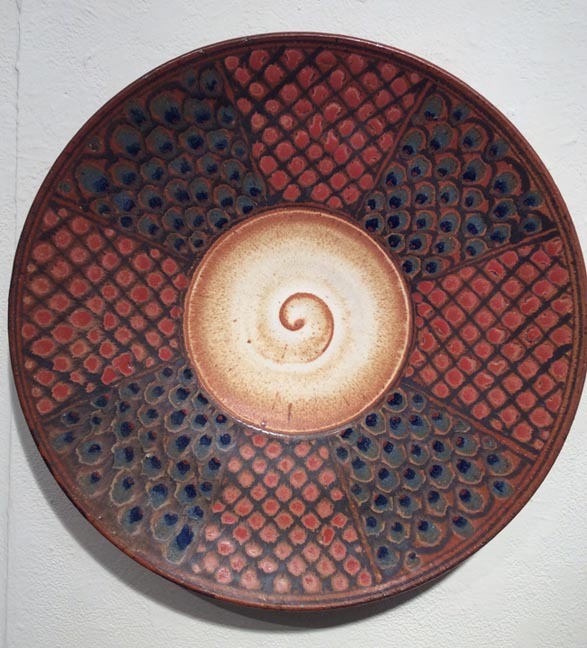 He is also known for his influential gift for teaching his craft and having developed the ceramic program at the Rock Creek Campus of PCC. 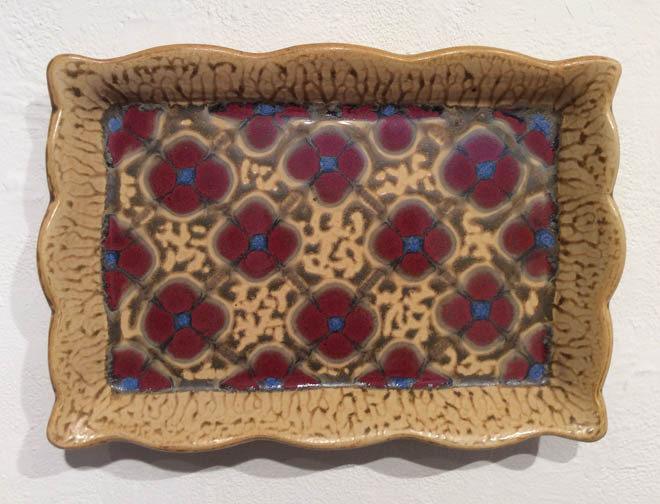 Schwab's work has been widely exhibited and collected during the preeminent ceramicist's lengthy career. 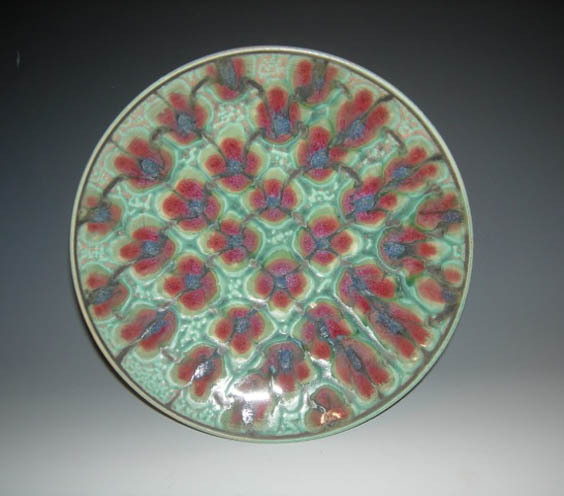 An internationally recognized artist, and a recipient of the prestigious Louis Comfort Tiffany Foundation grant, he has shown his work throughout the United States as well as the Victoria & Albert Museum, London and the first World Ceramic Biennale in Korea.